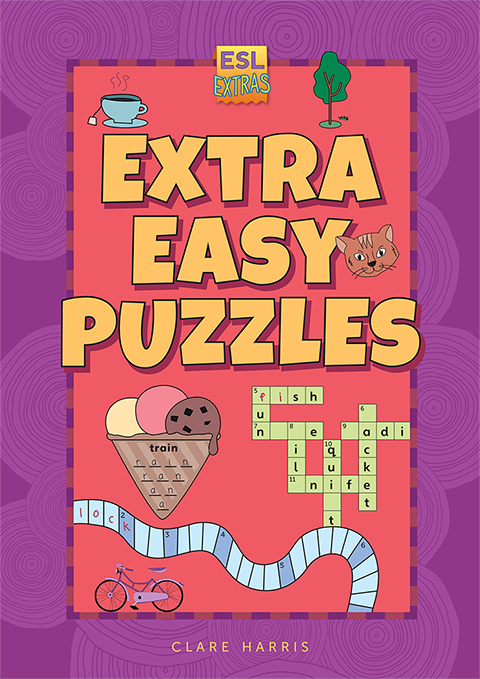 Extra Easy Puzzles is just that - a book of photocopiable word puzzles for ESOL/EAL learners at Beginner C level - strong beginners who are confident at reading sentences and familiar with past tense as well as present. The puzzles are based on the puzzles in mainstream magazines and puzzle books, and suitable for adult and young adult learners (as well as for younger learners). However, although the book is illustrated, it's not just 'picture puzzles' - the focus is on simple reading and language use. There are wordfinds, crosswords, downwords, matching puzzles, quizzes and pair work puzzles. The book has teacher notes and answers, and the CD in the back of the book has a pdf of all the puzzles, for printing or projecting onto a whiteboard. 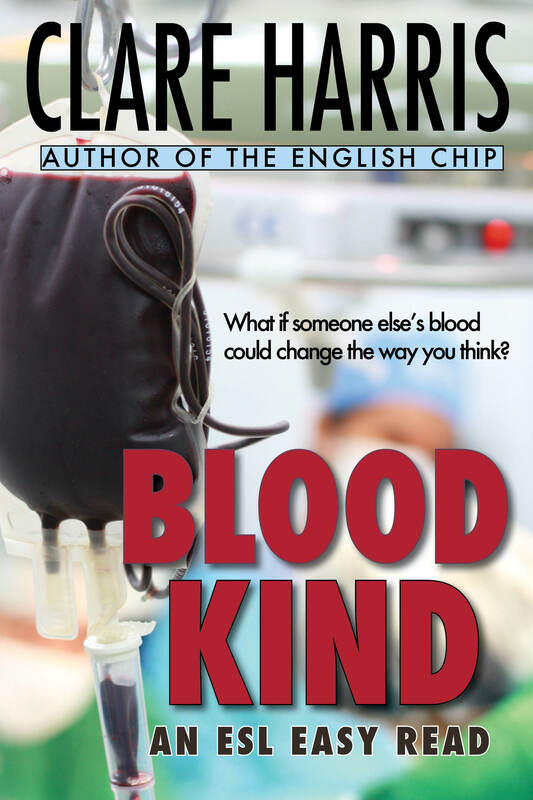 There are sample pages for download here, or you can find the books at your local language bookshop or library supplier. Hello. My name is Marcy. I live at number 5, Hope Street. I’m married to a lovely man called Vic. 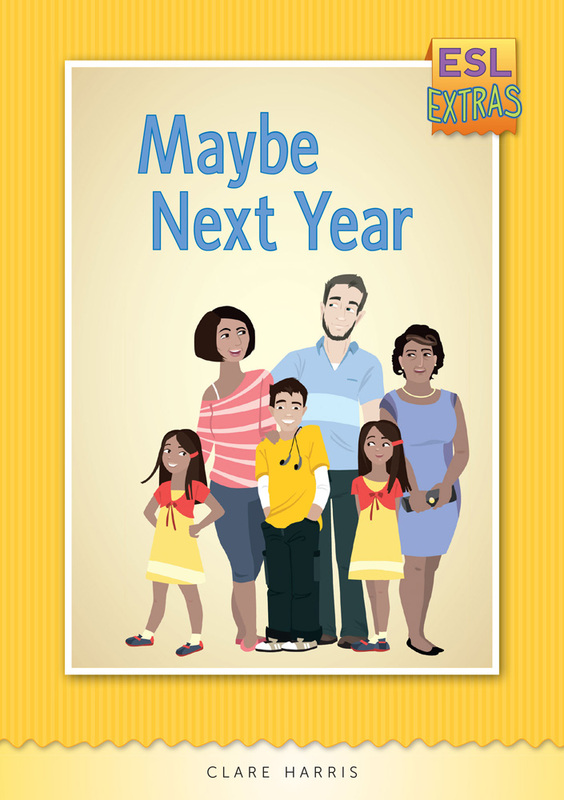 Maybe Next Year contains eight vignette-style chapters about Marcy and her family, and their hopes for 'next year', told in simple present tense only (Beginner A). Learners can read more about the Hope Street neighbours in Six Stories from Hope Street and The Garage Sale. Find the books at your local language bookshop or library supplier. I'm Cassie. I'm 14. I love shopping. I'm Tom. I'm 10. I love food. I'm John and this is Marissa. We love walking. 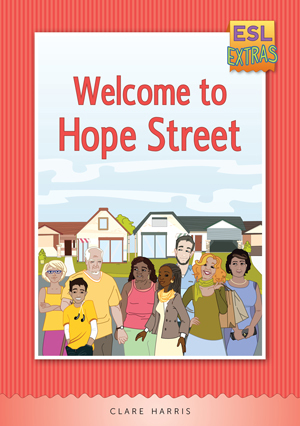 Welcome to Hope Street is a 'pre-beginner' (literacy) reader in the Hope Street series, leading on to beginner titles like Maybe Next Year, Six Stories from Hope Street, and The Garage Sale. Each 'story' in Welcome to Hope Street introduces a different neighbour, with sentences matched to illustrations. 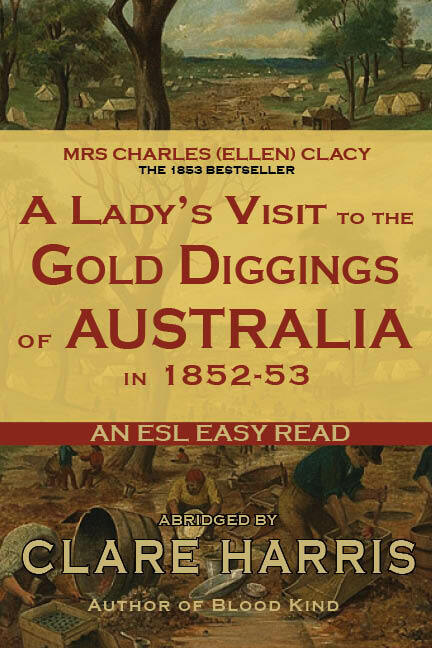 The audio for this book has three versions: 'listen', 'read with the teacher' (extra slow version), and 'now you read'. The workbook is a little different from the other books in the series, as the story pages are designed to be photocopied back to back and folded into booklet form (not visible in the sample pages, however). At Pre-beginner level, Welcome to Hope Street should suit learners who are gaining confidence with reading short sentences on familiar topics. You can find sample pages here. I opened the door of Simon’s old bedroom and looked inside. Uh-oh. I felt worried. There was a bed in the room, but I couldn’t see it. There were too many things on top of the bed, next to the bed, in front of the bed and under the bed. Ben and Tori have too many things in their house. Ben’s sister is coming to stay next month, but where can she sleep? Then Tori’s nephew has an idea. 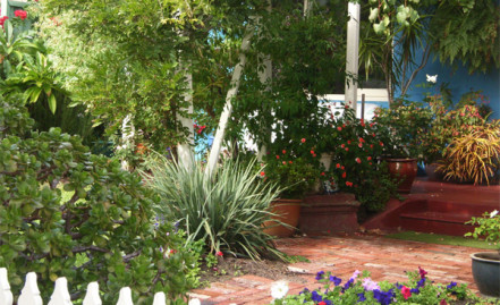 Why not have a garage sale? “Nothing can go wrong,” he says. Is he right? 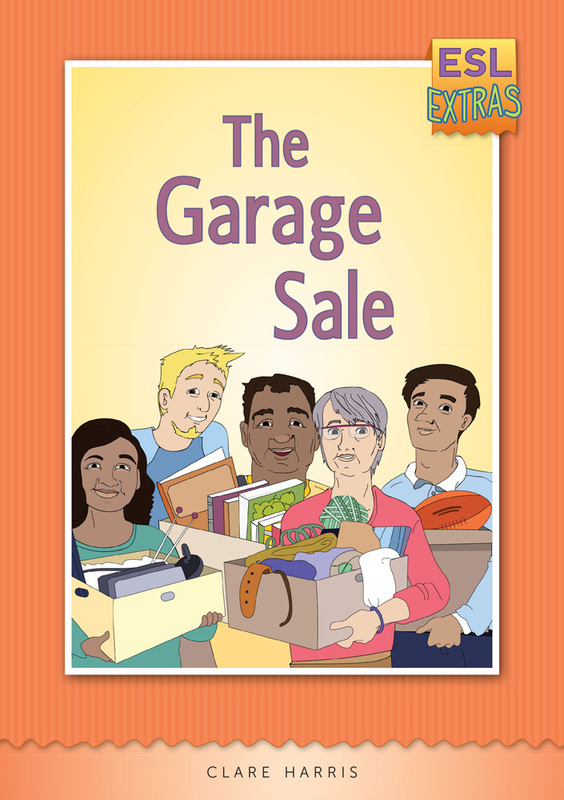 The Garage Sale is the third book in the ‘Hope Street’ series. 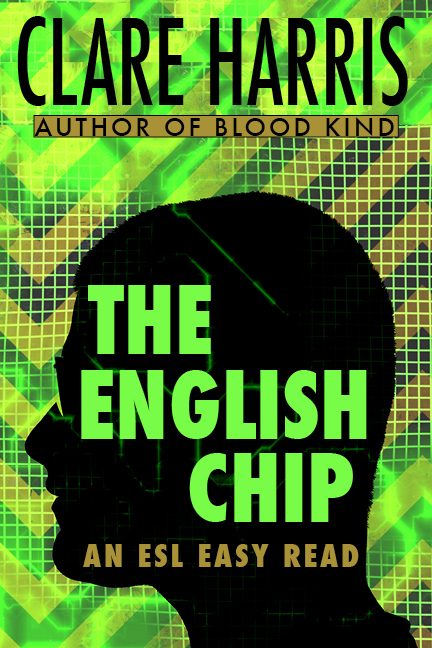 At Beginner C level, this six-chapter novel should suit learners who are gaining confidence with past tense and extended narrative. Find it at your local language bookshop or library supplier. “Where are my keys?” I said. “Here they are, Mum,” said Alex. “No, not those keys,” I said. Problems, problems, problems! Natasha can’t find her car keys, Alex's cooking doesn't go as planned, Grace is late for work, Cassie thinks she sees a snake in the garden, Zac takes a neighbour's dog for an eventful walk, and John has a mix-up at the medical centre. 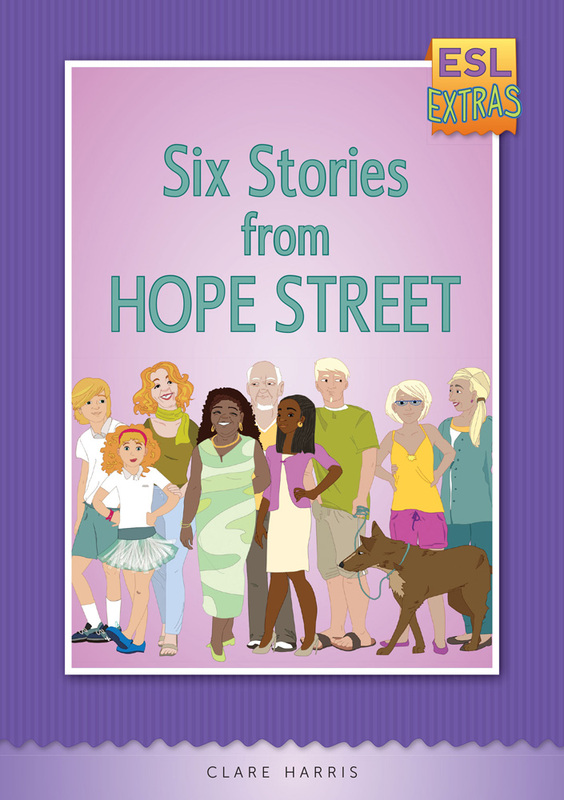 Six Stories from Hope Street contains six light-hearted stories told in simple past tense (Beginner B level). At 9 o’clock, I walked slowly into my boss’s office. George doesn’t like secrets. His boss tells him some exciting news, but he can’t tell anyone. His wife and children want to give him a surprise birthday party, but George doesn’t want a party. 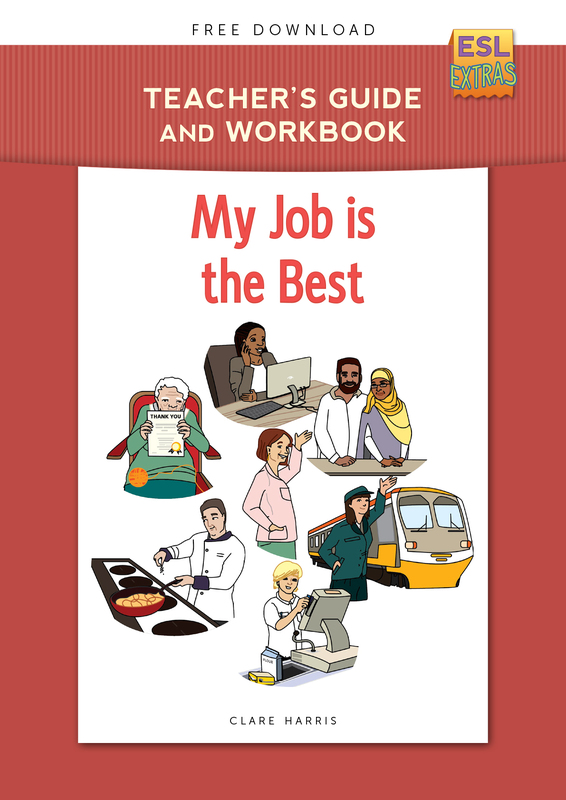 Find this book at your local language bookshop or library supplier. 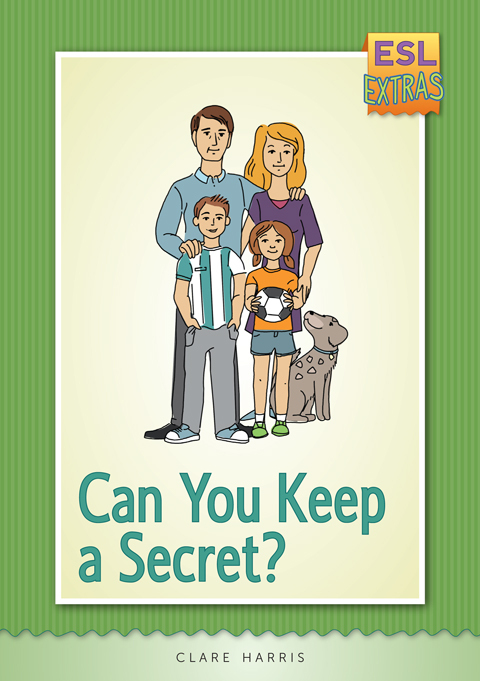 Download Samples of Can You Keep a Secret? 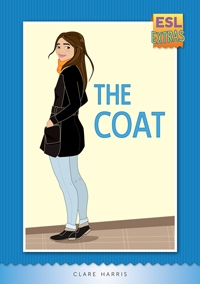 The Coat is a pre-intermediate reader, set in Melbourne, and featuring the sometimes impetuous Anni. I was shivering when I arrived at work. Sue, my boss, looked at my thin jacket. “Anni, you need a good coat,” she said. She was wearing a thick red jacket. She looked wonderful. She always looked wonderful. “I’m not really cold,” I said. It wasn’t true, but I didn’t have the money for a new coat. Then suddenly a borrowed coat changes everything.